What is Cloud based POS (Point of Sale) system? Cloud based POS system is relatively new when compared with client-server POS systems. Cloud based point of sale system is one of the hottest and happening trends in POS software and major chunk of businesses are seriously considering to switch from traditional POS to cloud based POS, but amid all this it is important to understand the answers to two important queries: What is a cloud POS, and what are its features that make it different from POS used by merchants for decades? Traditional client-server POS systems have been in use for years in retail and hospitality businesses. Merchants use devices for taking orders from their customers and processing payments. These operations connect to a POS server i.e. essentially a big computer sitting in a back room. The traffic flow between POS terminals and POS server is carried out through wires and networking gears such as routers/switches. Cloud-based POS eliminates the need for a server and carries data flow to some other data centre. Typically, the network is wireless, so there`s no need or use of wires. Why cloud is garnering so much attention? Cloud based POS solutions are garnering attention for all the right reasons and tangible benefits they provide to businesses in terms of cost, function, simplicity and flexibility. Here’s also a great post to read about importance of POS system for your business. With cloud POS, merchants are required to pay monthly fees to access software. In other words, the merchant simply uses the product and pays a certain amount of sum on monthly basis. Since cloud does not require an expensive, upfront hardware purchase, cloud POS is able to offer lower cost and acquisition model. Some service providers are also arranging their fee structure to per-terminal fees and add-ons for connecting third party services. When the merchant includes hardware in the rental agreement, it is replaced every few years and included in the monthly cost. Cloud based POS system is simple to use and does not involve complexity associated with in-store servers, computer networks, time-consuming set-up, and maintenance. Cloud based POS can be adopted in stages according to need and budget. An existing solution that offers a seamless upgrade to cloud POS may be a good option that`s worth considering. What does cloud based restaurant POS offers to them? 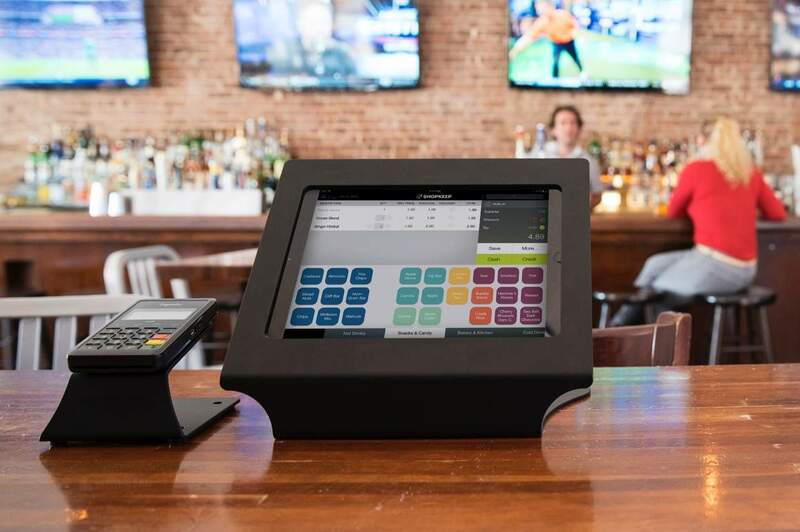 Cloud-based POS systems for restaurants make it easy and convenient for restaurant owners to access all their data in real-time from anywhere, using device connected to internet. You can run your restaurant from anywhere in the world with the help of this software system. You can make updates from your home or any other location that sync to your restaurant immediately. You can be on vacations but still want to keep tabs on your restaurant. You can check daily sales and quickly updates special offerings of your restaurant to customers. Without doubt, cloud POS system is lot efficient and cost-effective than traditional POS systems that have been used by merchants for a long time now. Merchants are showing greater interest in POS software because it promises fast business transactions and eliminates complexity of traditional POS system.